Police Chief Troy Crowson has officially departed from his position at the South Bethany Police Department. Earlier that day, the police department had announced Crowson’s “forthcoming” retirement on Facebook. At this point, six members of SBPD have left the department since early 2018, with Cpl. Patrick Wiley remaining. The Town has recently received additional job applications for the open positions in its police department. 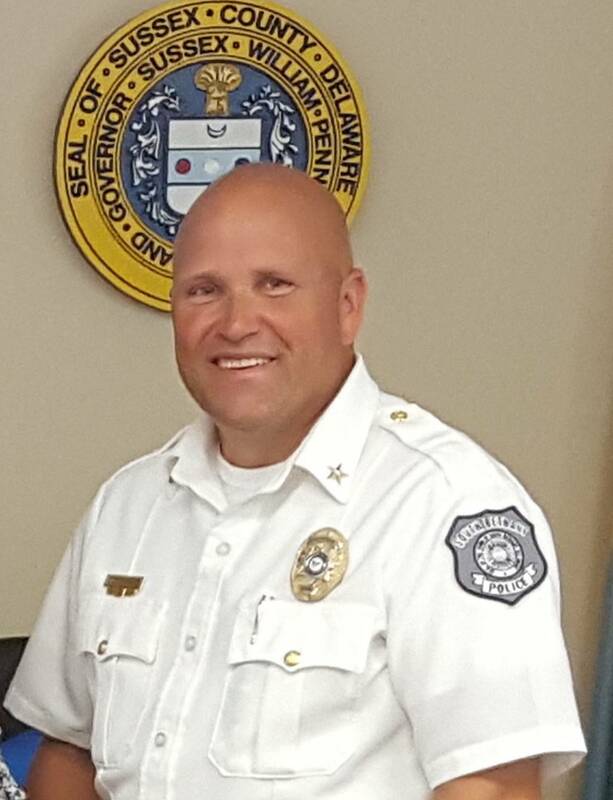 A new fulltime officer also started April 1, although he needs to complete some Delaware-required trainings or coursework over the next few months. The SBPD also recently sent two new cadets to the police academy, although one has since resigned. Town officials said they will focus on finding certified officers this year., instead of more recruits, since the next six-month police academy doesn’t start until about September. “The officers of South Bethany Police remain dedicated to the community and its residents,” the SBPD website has been updated to say. “Our officers are well versed in community service. The department strives to stay current with community policing trends through yearly in-service training. “Active involvement with the town’s Neighborhood Watch program not only heightens interaction between homeowners, visitors, and the police, but also adds to the cohesiveness of the community. In addition, our officers have a personal vested interest in making our town safe and secure for its residents, since most live in the town’s surrounding areas. Until South Bethany can provide its own 24-hour police coverage, they will rely more heavily on neighboring jurisdictions, per old agreements for reciprocal aid. They’re also researching security groups that could provide service for some tasks, such as the summer road barricade enforcement. Saxton said he hopes to present some options at the April 12 town council meeting. “I just want to reassure people that the streets of South Bethany will be fully patrolled in the coming season. … The towns around us are willing to come to our aid if and when we ever need them,” said Council Member Gerald “Jerry” Masiello.